Indirectly, it will improve the quality of life in Ukraine. 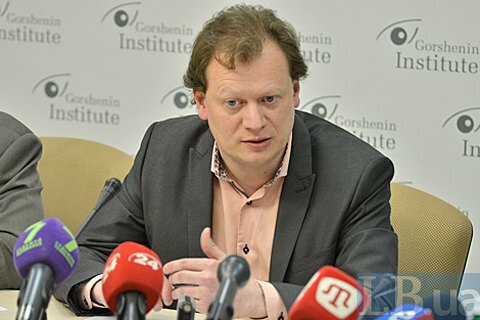 The director of international programs of Gorshenin Institute, Dmytro Ostroushko, believes that the visa-free travel is the way to Ukraine's greater mental integration into the European Union. "We need to distinquish between European integration and the visa-free travel, which in itself is the path for the moral integration of Ukrainians into the European community," Ostroushko told a round table conference at Gorshenin Institute on 7 April. "At the same time, the provision of visa-free travel was conditioned by certain obligations. Ukraine has succeeded in the implementation of the necessary reforms. Hopefully, these reforms and achievements of ours will not be merely formal but will affect the quality of life of Ukrainians," he said. "Visa-free travel opens up opportunity for more Ukrainians to travel and discover the world, and, correspondingly, it will indirectly improve the quality of our lives, because the more one knows, the more he wants to have a better life in Ukraine," Ostroushko said. On 6 April, the European Parliament voted through the abolition of visas for Ukrainians. The visa-free regime is expected to be introduced in June 2017.